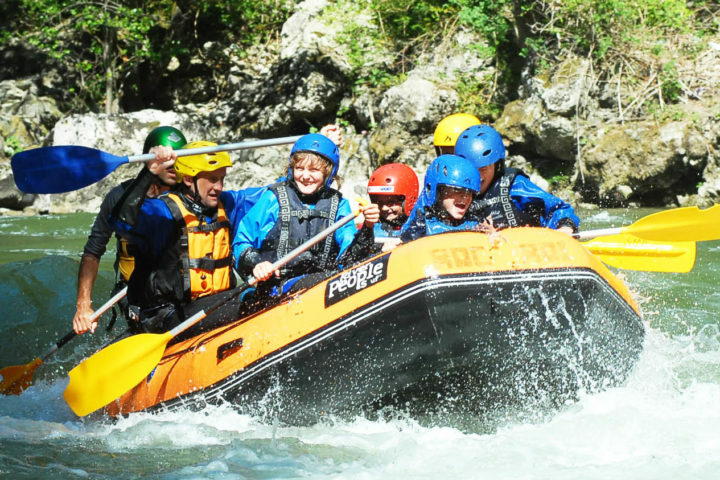 Rafting consists in descending river rapids in an inflatable boat, always in group and with a guide inside the boat. 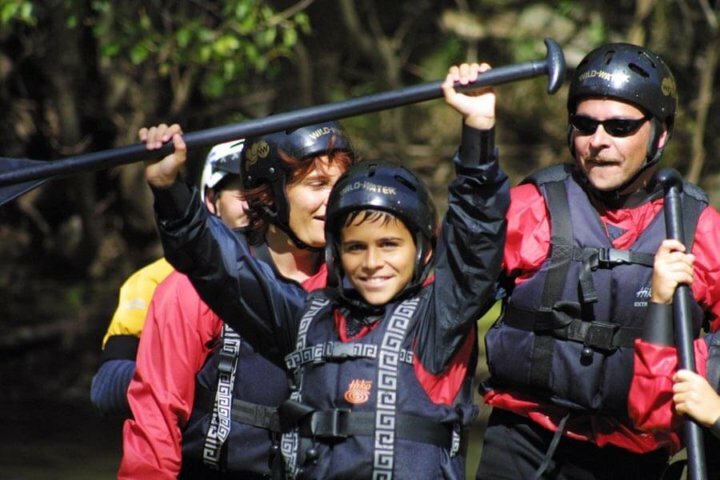 White water Rafting is the most popular sport. 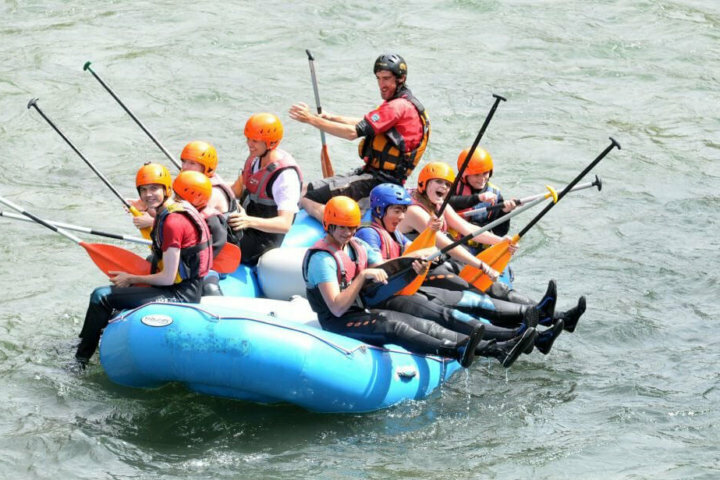 The boats are made up of groups of people with a guide inside the raft, everyone is seated along the sides of the boat and there are foot straps in the bottom of the raft to help to keep the balance. Fun and excitement shared by all member of the group. 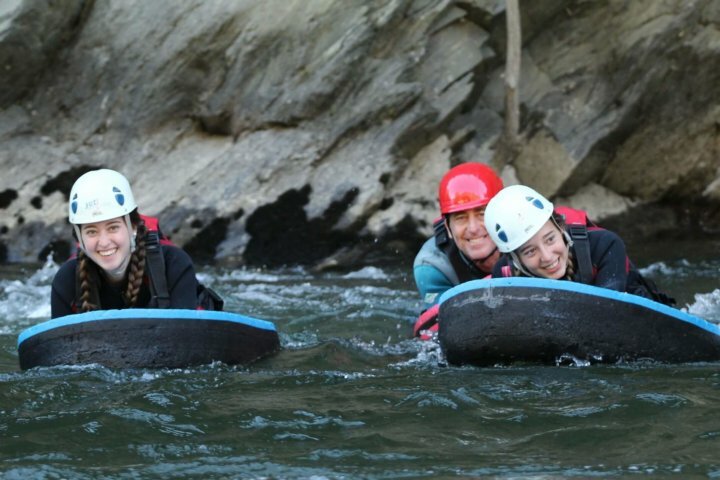 This is the perfect introduction to white water sports and a good way to spend a day with friends, family..etc. 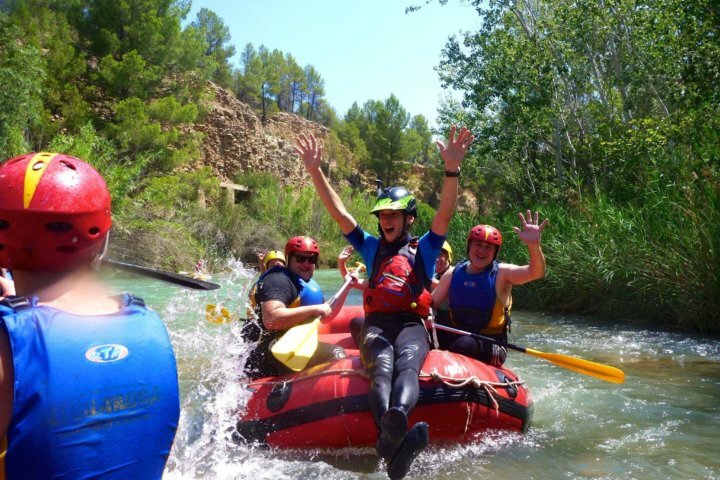 In Spain, thanks to the weather conditions, there is many places to practice this activity,and is one of the best country in Europe to do Rafting. 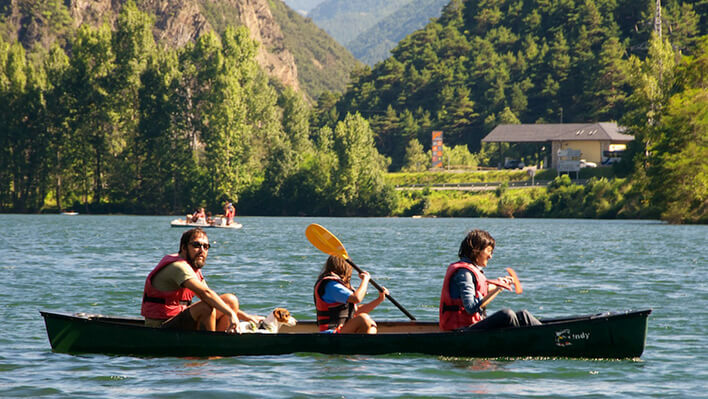 Pyrenees is the best location to do this sport, with a better volume of water and a great variety of canyons. 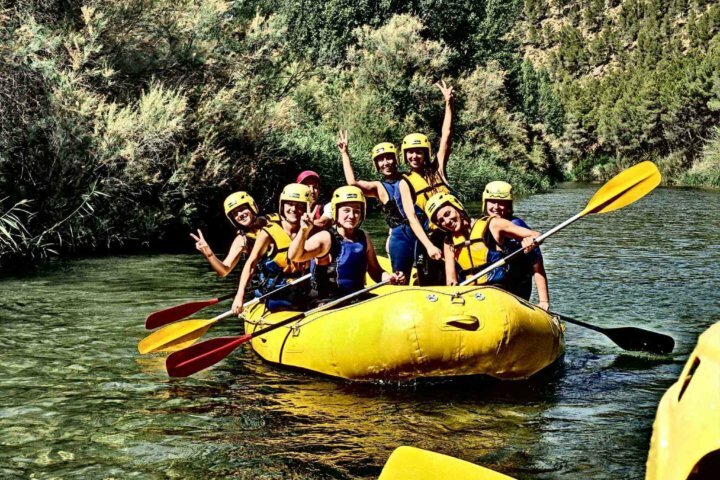 But also you can find Rafting in Galicia, Asturias, Murcia and Valencia. The rivers are qualified according their degree of dificulty, this is going from Class I to Class V and VI. 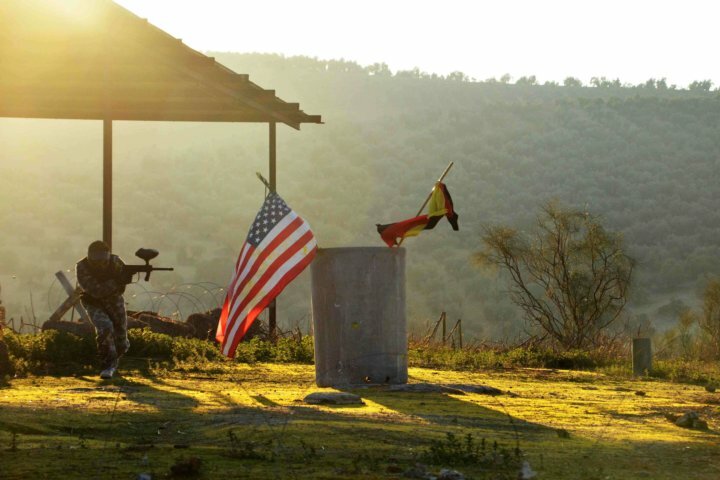 That goes from easy and beginner to advanced and expert level. 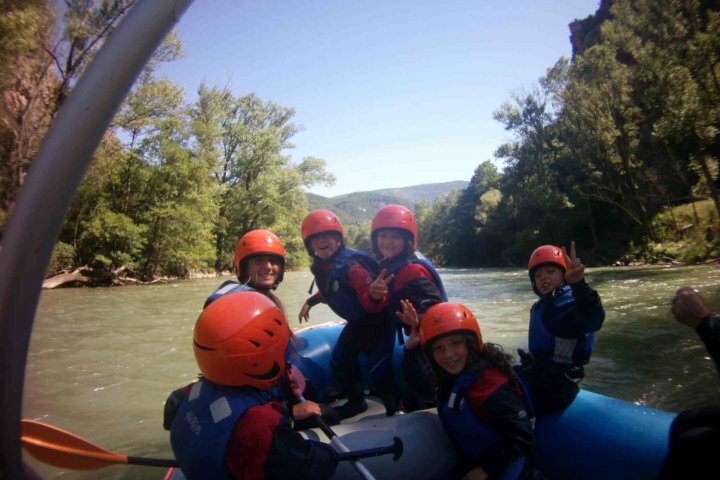 Even though, in our locations the classes to descend the white water rapids, will be qualified in three levels : Beginers - Intermediate - Experts and always the activities will be supervised by our professional instructors, it means that the participants do not need experience to do the activity and all the Rafting descends are available for anyone, however, it's important known how to swim for this activity. 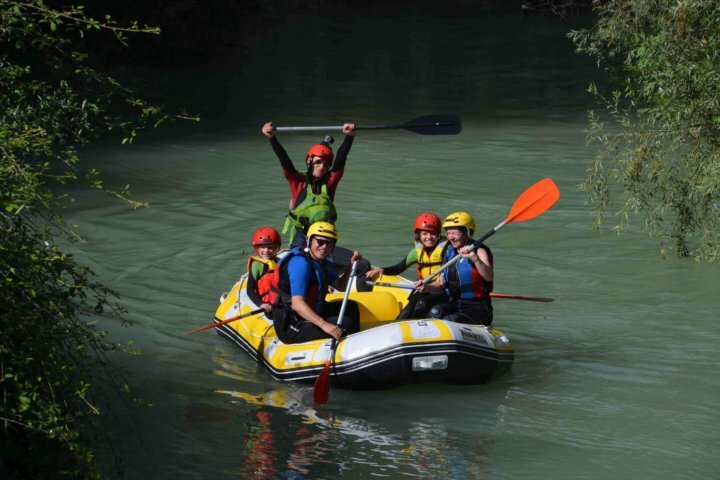 The equipment that usually is provided by the center is: Neoprene, wet jacket, helmet, life jacket, neoprene boots. 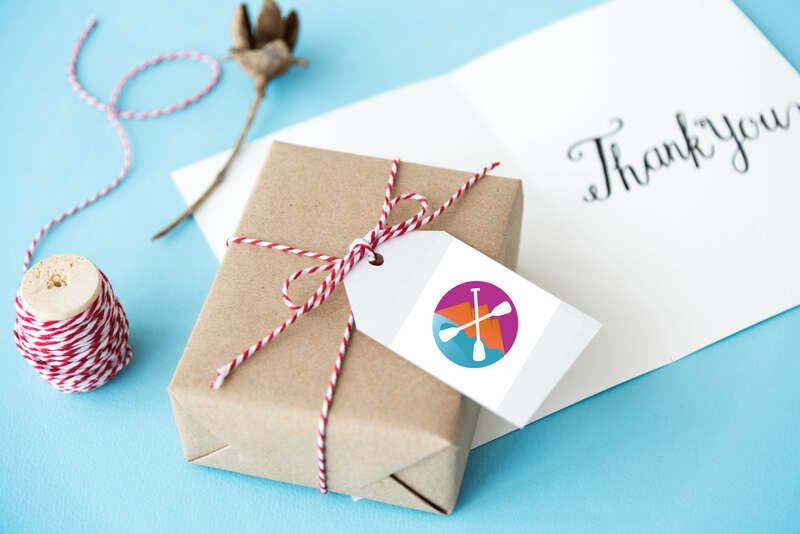 The participants always will need to bring: swimming suit and towel. 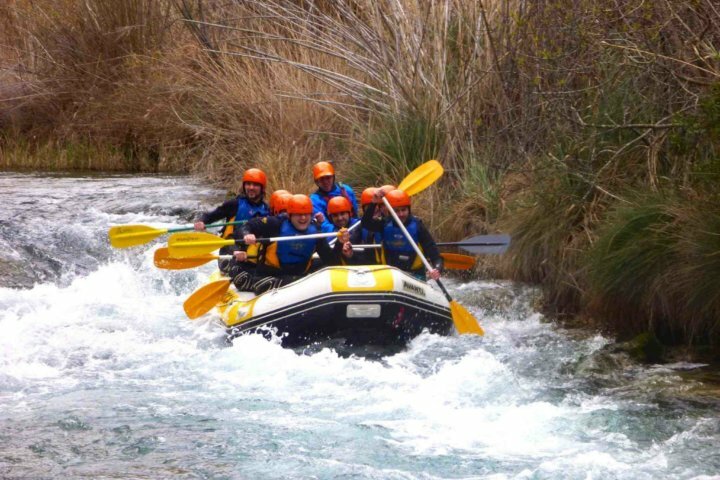 For sure the best season to do this activity is in Spring time, it means April, May, June, where you can find rapids class III to IV and in some points class V (in Pyrenees). 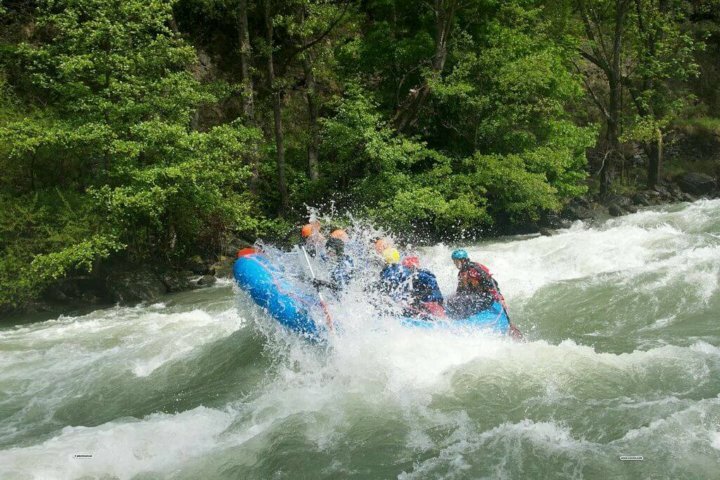 But you can run in Rafting until end of the Summer.